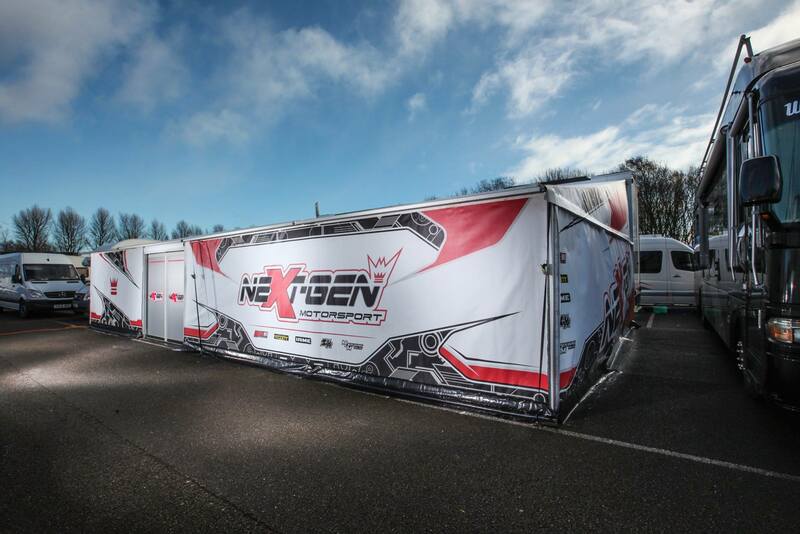 Race Team Awning Designs, Race Team Transporters, Pit Garage Boarding and other Custom Pit & Garage Designs to make your team base stand out in the paddock. 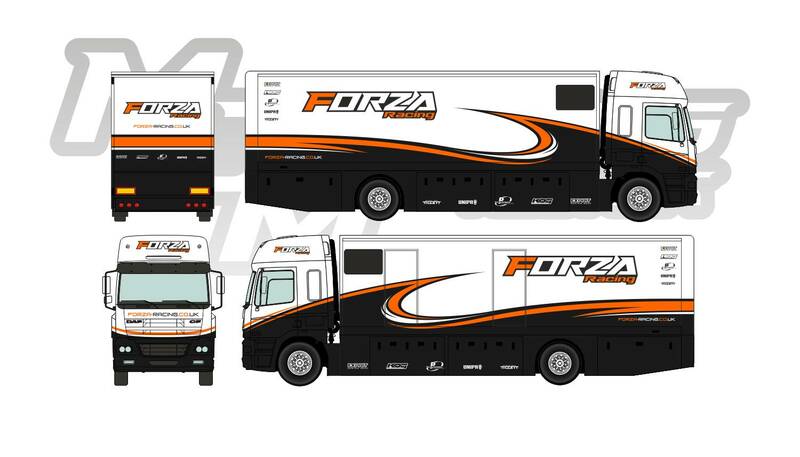 Race teams like to spread their brand identity much further than just to the race track. 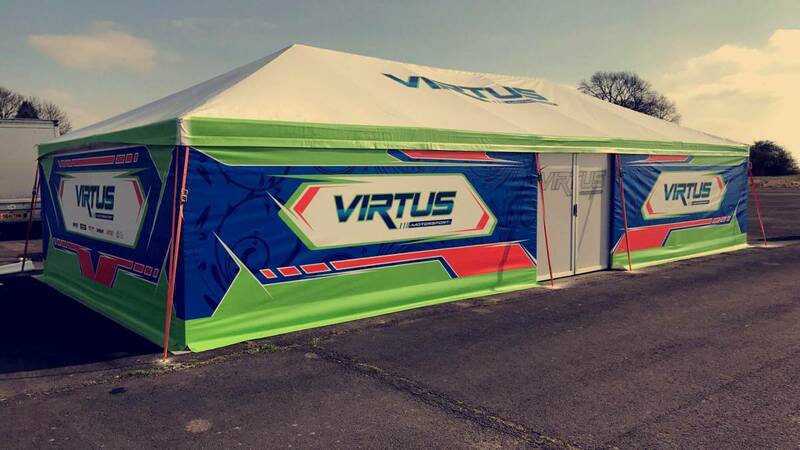 As well as the kart / car, racewear and teamwear, the race team awning and place in the paddock is the base for the team at race meetings and creating a striking look to identify yourself in the paddock helps to complete the entire look of your brand. We are able to create custom vector design artwork for a variety of awning styles. 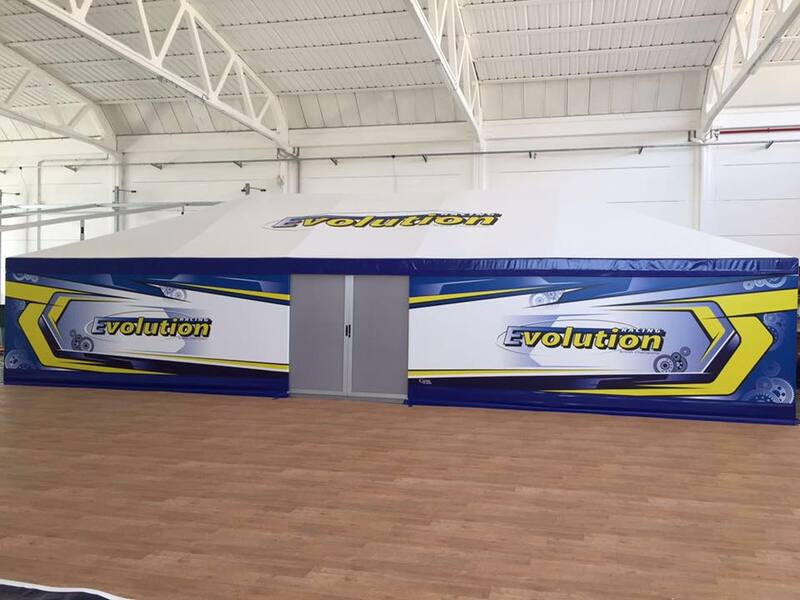 These range from the following: Freestanding Awnings, Transporter Mounted Awnings and Easy-Up Awnings. Designs are done mainly on the awning sheets at the front and sides, along with the option of adding design into the roof area and rear of the awnings (if freestanding). We are also able to account for sliding doors and PVC roll up doors / windows. 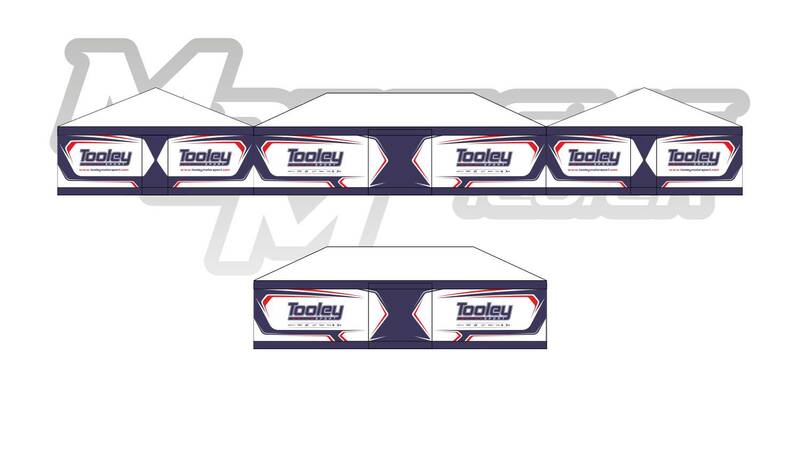 Within the awning, there are more product options available to be designed. 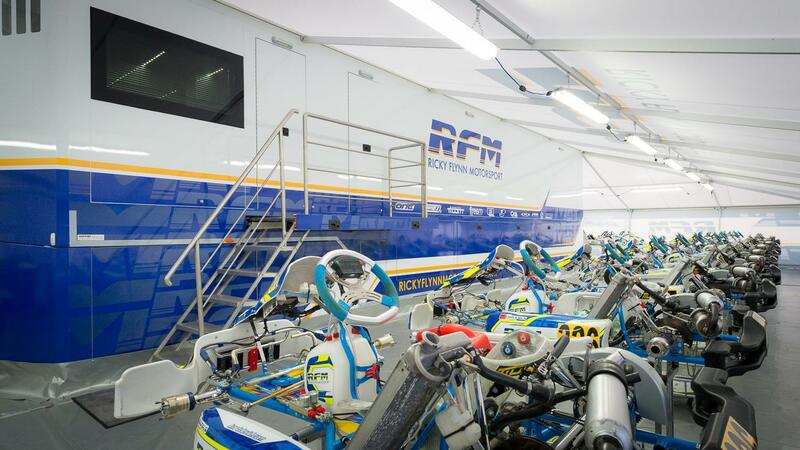 Within race teams and garages, pit boarding is often used to showcase partners, sponsors and improve the overall appearance of each pit garage space. We are able to create a design that ties in with all the team brand colours and design - whilst still displaying team partners, sponsors and more. 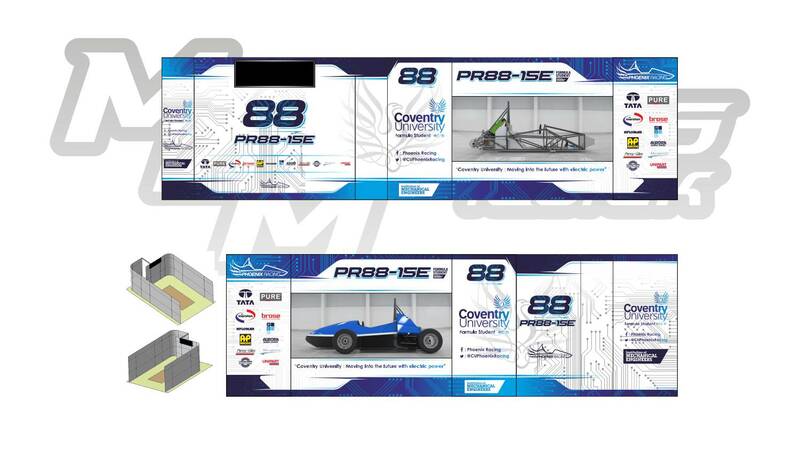 Other items can include custom pit garage mats, awning display roll up banners, driver specific boarding, pit girl outfits, transporter liveries and more. Please get in touch for more information. Custom Pit & Garage designs follow the same procedure as displayed in our 'Orders' page online. We will need a design brief off the client, alongside the items that the design is needed for. Once this information is provided, we can provide an accurate cost for the artwork design along with a lead time for design completion. If an Awning is required, we will need to know the manufacturer of the awning you intend to purchase as well as the size of the awning and any specific additions. (Eg. 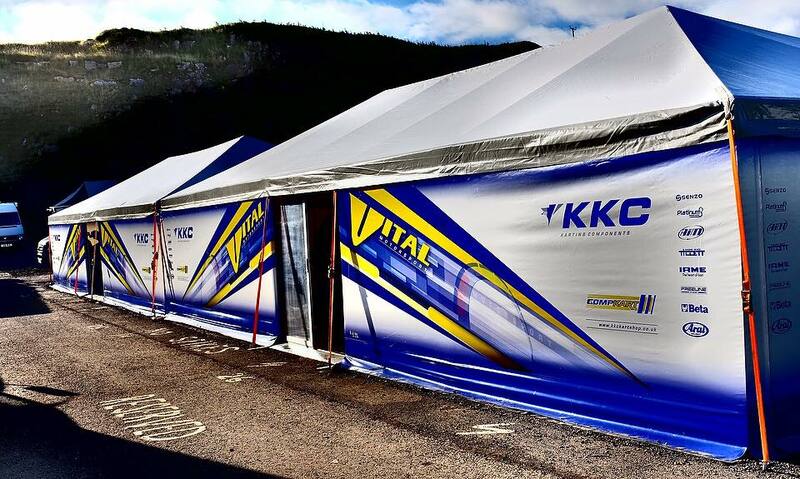 Gatel 12x6 Freestanding Awning with Sliding Doors). 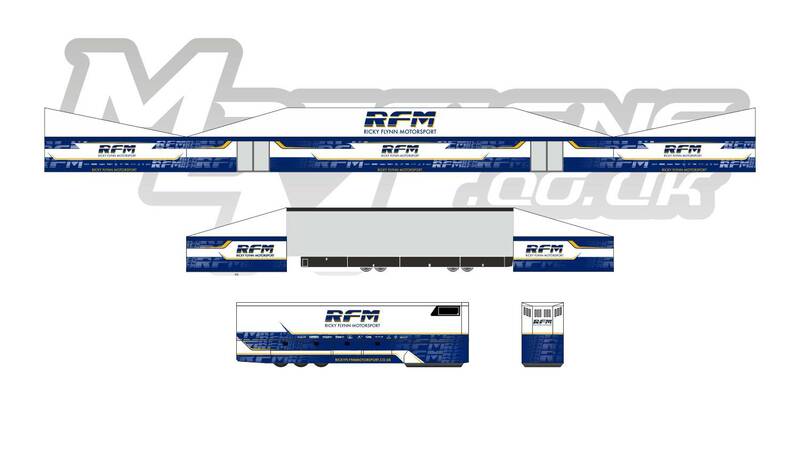 Most manufacturers will provide a plan of the awning you require which can be forwarded onto MDM Designs for the vector artwork design to be completed on. Our design fee is not affected by the use of special colours, the cost of the designs are based on design complexity, the quantity of items needed and the overall design time of the project. 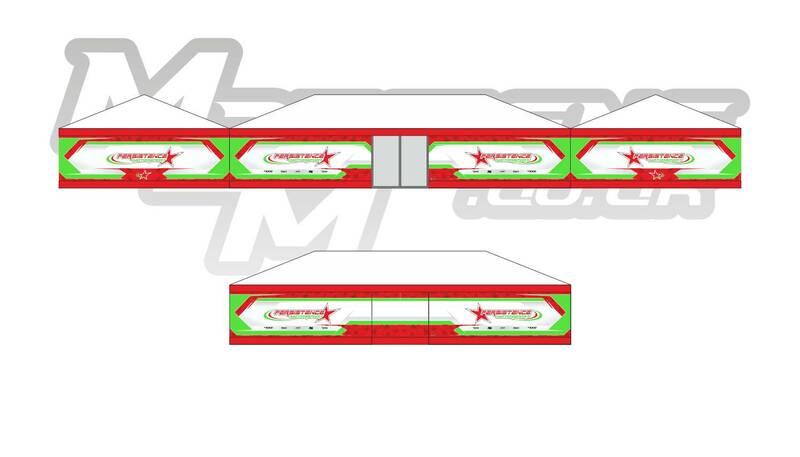 Each design is created on a 2D visual concept, which is sent over via email to the customer for feedback. MDM Designs will provide clients with recommendations for manufacturing of Custom Awning Design Sheets and Pit Garage Boarding. 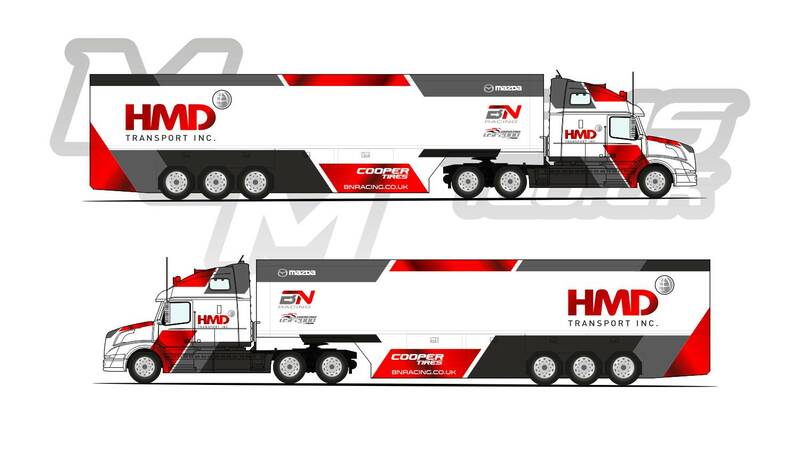 When the final designs are confirmed, we can put you in touch with our partner companies who can cater for the production of your order. 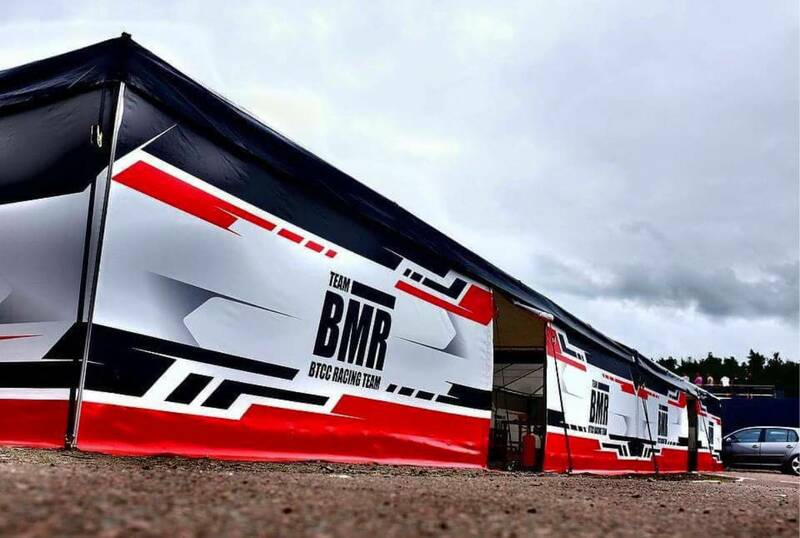 Please view our Terms & Conditions for advisory and crucial information when you proceed with ordering your awning / pit wall design after your MDM Design has been confirmed. 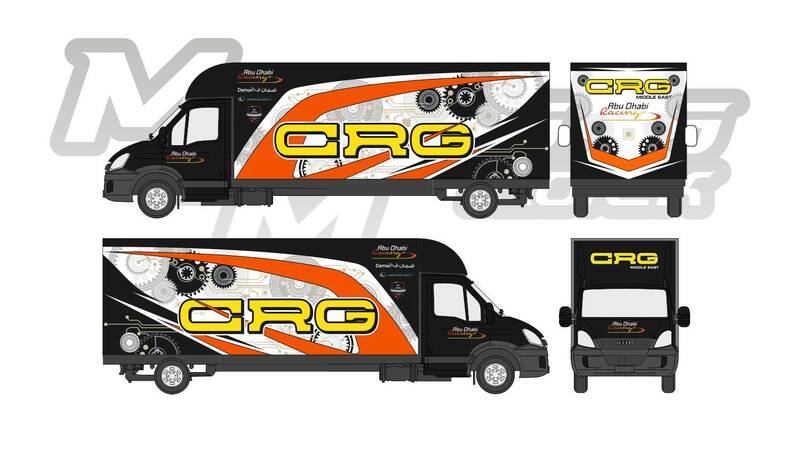 View our gallery below for a mixture of Custom Pit & Garage design concepts, as well as produced artwork in reality.